The Hermes Expo, a leading B2B trade show and exhibition networking series, returns in 2017 for its 26th year. The trade show will take place on Wednesday, April 26, 2017 at The Best Western Hotel in Concordville, Pa. It will be followed by a second annual event, the Hermes Expo “A Taste of Greece,” April 24 and 25, 2017 at the Radisson Martinique Hotel on 32nd St & Broadway, in New York. A “Taste of Greece” features a round table discussion and a reception with Greek food and wine, a mini-trade show exhibition and plenty of networking. Past participants included leading food industry representatives and companies as well as representatives from Greece and the southeastern European Nations. Hermes Expo is a leading trade show that brings together Greek-American- and non-Greek-American- owned business by providing them with a platform to showcase their products and services in front of potential customers from the United States and Europe. The Hermes Expo also hosts educational panel discussions and professional development seminars to help businesses grow. The highlight of the day is an Awards Dinner with plenty of executive and exclusive networking opportunities. Business owners will have opportunities to establish new business leads, display products and services for the world to see and taste, launch and promote a new concept, advertise their business and brand and learn about trends affecting their business. Attendees include business leaders from diverse industries and professional services from around the region and around the world. The Expo connects people and businesses, promotes commerce, communications and culture with businesses from North America, Southeastern Europe and the Eastern Mediterranean. New in 2017 is the Hermes Trade Route, creating an environment for business owners that make it easy to network, explore partnerships and discover new opportunities via Round Table, B2B meetings and Networking. The Expo’s unique Ted Spyropoulos Seminar Series, launched last year, provides useful information on a wide range of topics. Spyropoulos was a proud Greek-American who believed that working together, we could move mountains. There will be no shortage of topics this year as experts examine how the circumstances in Greece and Europe affect business here at home as well as the New Economic World Era. 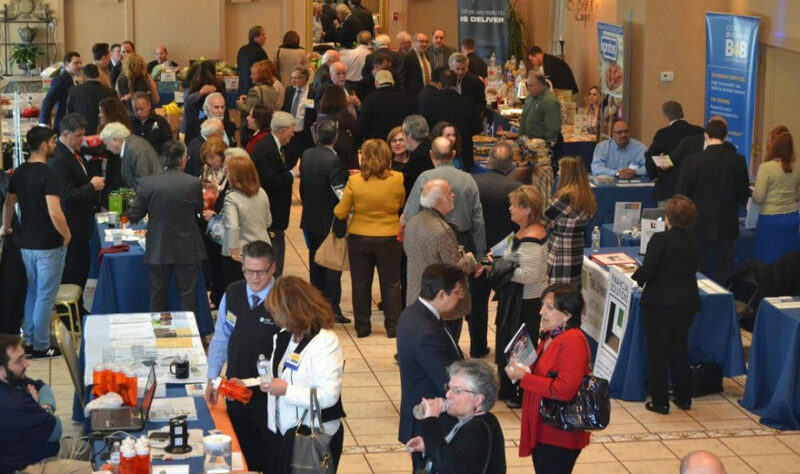 Brandywine Valley Restaurant Association, in cooperation with the Hospitality Industry, will offer an array of booths promoting special food and non-food product, new technologies, Importers – Exporters, services and incentives to community businesses and end users, independent restaurant-hotel owners.